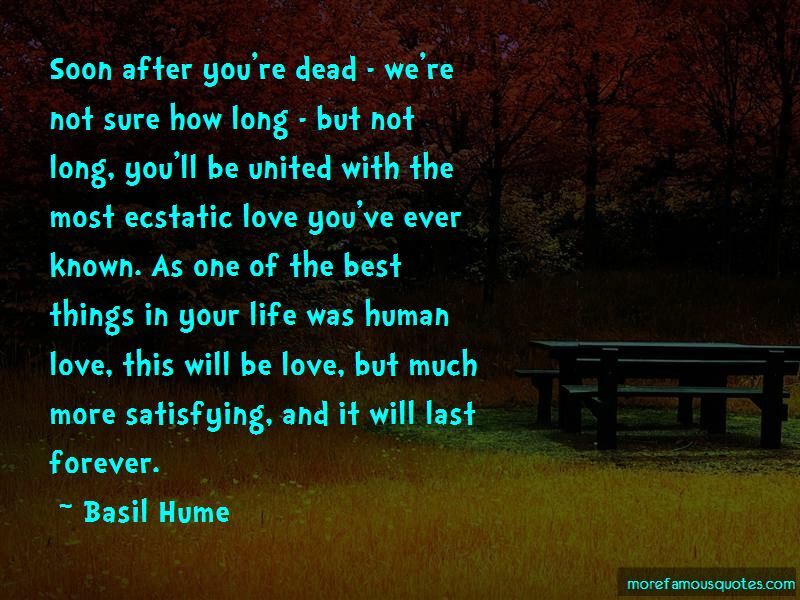 Enjoy the top 9 famous quotes, sayings and quotations by Basil Hume. Why God should want and need us is a mystery. But it is true: otherwise he would not have created us and life would ultimately have no meaning for us. It is good to remember that in God the is a constancy, a consistency of attitude which never changes, irrespective of what we are or how we act: he never changes in is wanting us or needing us. Deep down, we remain human, very human and have all the desires to love and be loved by one person. 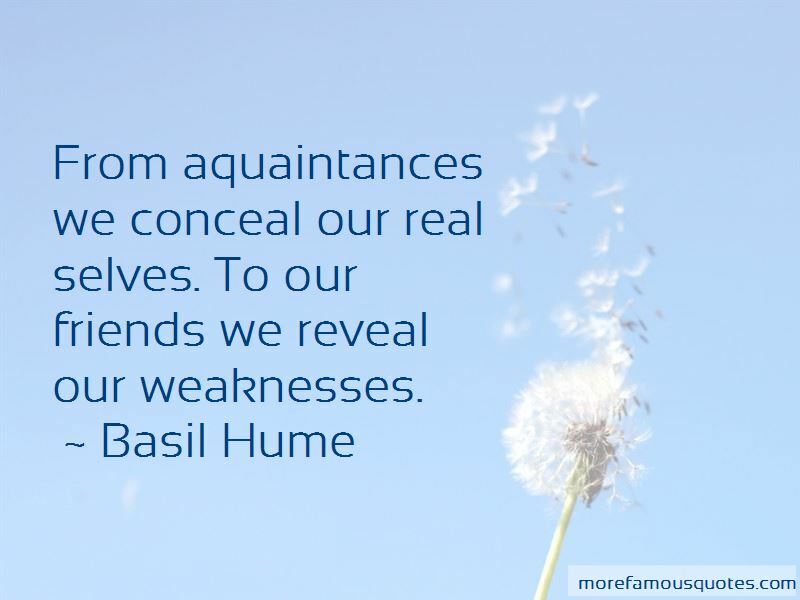 From aquaintances we conceal our real selves. To our friends we reveal our weaknesses. 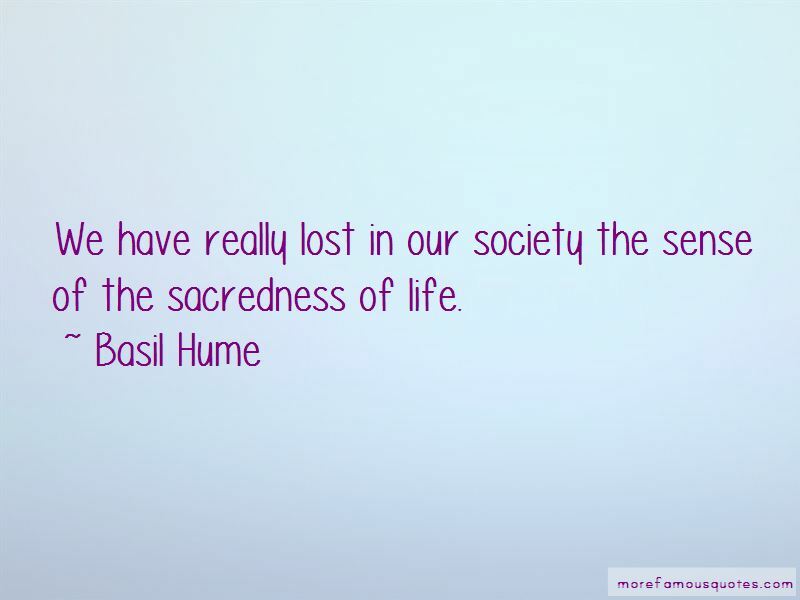 Want to see more pictures of Basil Hume quotes? 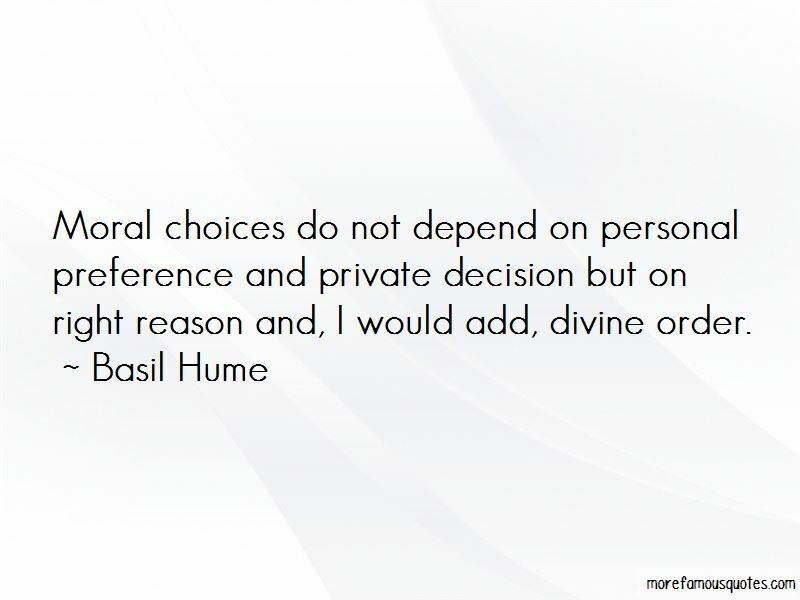 Click on image of Basil Hume quotes to view full size.